And so the day arrived. Following the past mental week of not being in a competition, to getting through and being in a potential tiebreaker, to getting through again and actually winning the thing for a second time, it was time for the Fifty Grand Friday final. 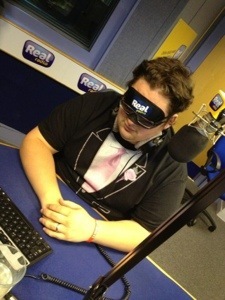 Got up early and Elle and I headed into Real Radio. We got there just before 7. 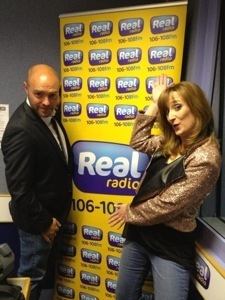 We spent the entire morning with Dixie & Gayle, the breakfast show DJs. The big plan was to have me on the show and have a good laugh whilst trying to thrash out some of the animosity towards us about how I had managed to get into the final. …and then it got to ten o’clock. It was time for the final. We crossed over to another studio who was hosting the show. All five of us finalists were in our respective studios. There was a random number generate to determine who would go 1st, 2nd, 3rd etc. I got picked out first…ouch! My first question was “Los Angeles is in the USA” and I got it right, saying Fact. Everyone else got theirs right too. My second question was “Peter Andre is from Ireland”. Fiction, which I got right. Everyone else got their right too. My Third question was “Kylie Minogue is older than Danni Minogue”. I wasn’t sure, but said Fiction, and I was right. This was easily the hardest question so far. And that was it, I was eliminated. Game over. It was really sad and I wanted to do so much better and get closer to the £50k but it just didn’t happen. It was completely the luck of the draw and I honestly think I had the hardest two questions of the first round, but at the end of the day, it could’ve happened in any order at all. I got a huge Real Radio goodie bag to bring home and the bottle of champagne that would’ve been cracked open if I had won…but never mind. 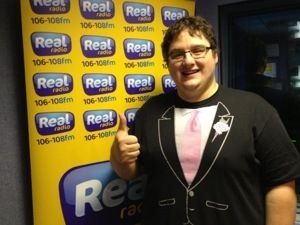 It was one hell of a cracking experience and everyone at Real Radio was so lovely and took care of us. It was great to spend the morning on the show. I just wish we could do it more often! Chin up Dave, chin up! 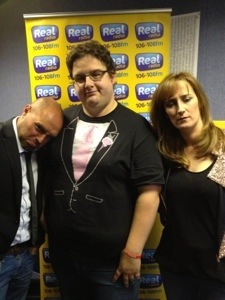 This entry was posted in 2013, 365 and tagged 50 Grand Friday, £50k Friday, Dixie & Gayle, Real Radio Yorkshire. Bookmark the permalink.